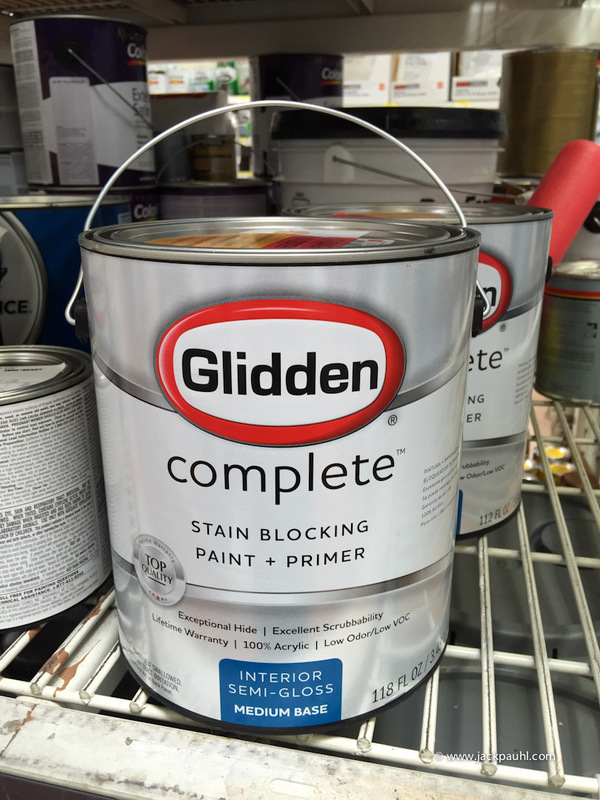 New thread for Glidden Complete Stain Blocking Paint + Primer. I'll post results once I get into this paint. The cost was $29 at Walmart and I am dying to know how this paint performs compared to more expensive paints. It's a sad state of affairs when we have to go to Walmart to find/buy paint. Hey, I don't care if I buy it from Safeway! All I care about is that it performs well. Brian, Home Depot sells Glidden too, and You get Your Pro Rewards Off on it. Any particular reason You decided to purchase it at Walmart - Besides being there to get the ColorPlace? Hey! A Lifetime Warrantee! We'll never have to paint again!!! Have You compared these stats with Home Depot's version of Glidden or with PPG's? Of coarse I'm talking with a similar priced version of the Glidden, since there are various Glidden paints. I applied Glidden Complete to the standard 5 test samples previously used for testing other paints and primers. After 5 days of cure time, there was no noticeable increase in adhesion; all samples failed equally as easy as Day 1. Now remember, I am comparing adhesion to products that have high adhesion only a couple hours after application which DO NOT fail the same test on the same samples. So, if Glidden Complete is going to fail in the adhesion department like any other paint on the market; whats the advantage? As stated on the TDS, Full Cure is 30 days. At this point we just wait. I entered the date in my phone; we'll check it then. At this point, this paint is starting to look like nearly every other paint even though it says "Top Quality" on the label. That all might change in 30 days, but statistically speaking, its not likely. Please don't ask about other characteristics because if we can't get past adhesion, we got nothing. 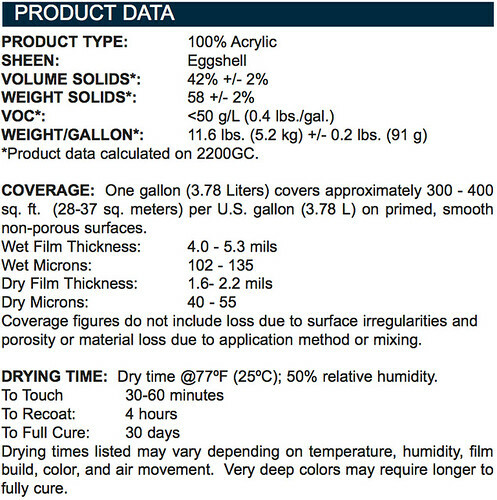 Technically we can call adhesion "average" or "common" among paints where "average" is actually "poor." Paints with "good" adhesion may fail the same test samples, but at least some level of effort is required to experience the failure. It took no effort for Complete to fail; came right off the samples. So I guess it would be fair to say that the Glidden was a "Complete" failure! At least the Product label is accurate! I wouldn't say complete failure; I don't give up that easily. I'm sure there is some combination of primer + Glidden Complete that will produce a nice result, its just a matter of figuring out which primer to use. Without adhesion, what use is there for it?